Jerome L. Simon founded Lonestar Capital Management in the summer of 1995. The San Francisco-based activist hedge fund specializes in special situations, distressed investing, energy, and the exploitation of leveraged capital structures and mispriced securities. Prior to founding Lonestar, Simon worked for Drexel Burnham Lambert in Los Angeles in the restructuring advisory group and for the distressed securities desk in the summer of 1989. Simon then worked for two Mill Valley, Calif.-based hedge funds, Paul D. Sonz Partners LP in 1991 and 1992, and Avdan Partners LP in 1993 and 1994. Simon worked as a consultant for Leucadia National Corp., a diversified holding company involved in banking, real estate and other areas, from November 1994 until March 1995. Earlier, from 1986 to 1988, Simon was president of a single-asset hotel corporation that became a debtor-in-possession in a Chapter 11 bankruptcy proceeding. He also worked as an independent petroleum landman in 1984 and 1985. Simon received an MBA from Stanford University in 1990 and a bachelor’s degree in economics from Claremont McKenna College in 1982. 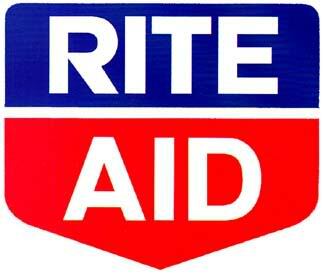 Lonestar’s largest equity position as of the end of 2013 was Rite Aid Corp (NYSE:RAD), which comprised 6.5% of the portfolio. Although Simon reduced his stake by approximately 8 million shares during the fourth quarter, he still owns 1.1% of the drug retailer’s outstanding shares. His partial sale of his stake could be function of profit-taking following the stock’s strong performance but his remaining position implies a continued bullish view on the company’s turnaround plan. Other large shareholders include Peter Rathjens, Bruce Clarke and John Campbell of Arrowstreet Capital, David Shaw of D E Shaw and Ken Griffin of Citadel Investment Group. Its second largest holding was American Airlines Group (NYSE:AAL), a newly initiated position that amounted to 1.6 million shares, or roughly 0.6% of the carrier’s shares outstanding. Many hedge funds participated in the company’s emergence from bankruptcy, as a consolidated industry should benefit the major players, of which AAL is the largest. Other large shareholders include William B. Gray of Orbis Investment Management, John Paulson of Paulson & Co. and James Dinan of York Capital Management. Third on the list is CF Industries Holdings Inc. (NYSE:CF), a stock that Simon initially purchased in the third quarter of 2013. Although he reduced his stake by 80,000 shares during the fourth quarter, he still retains a 0.3% stake in the manufacturer of nitrogen and phosphate fertilizer products, whose stock price has benefitted from an increase in capital return to shareholders as well as the possibility of converting to a master limited partnership structure. Other large shareholders include David Shaw of D E Shaw, Crispin Odey of Odey Asset Management and Sean Cullinan of Point State Capital. Lonestar’s fourth largest holding was Cumulus Media (NASDAQ:CMLS), in which it owned a 2.5% stake. The owner and operator of commercial radio operations is up 95% over the past 12 months. Other investors in the stock include Joshua Friedman and Mitchell Julis of Canyon Capital Advisors, Wallace Weitz of Wallace R. Weitz & Co. and Dennis Leibowitz of Act II Capital. Finally, its fifth largest position is in General Motors Co. (NYSE:GM), a stock that Simon continued to purchase (he bought 150,000 shares in the fourth quarter after buying 75,000 shares in the third quarter). Other large shareholders include Harris Associates, Warren Buffet of Berkshire Hathaway, David Einhorn of Greenlight Capital and Brian Taylor of Pine River Capital Management.